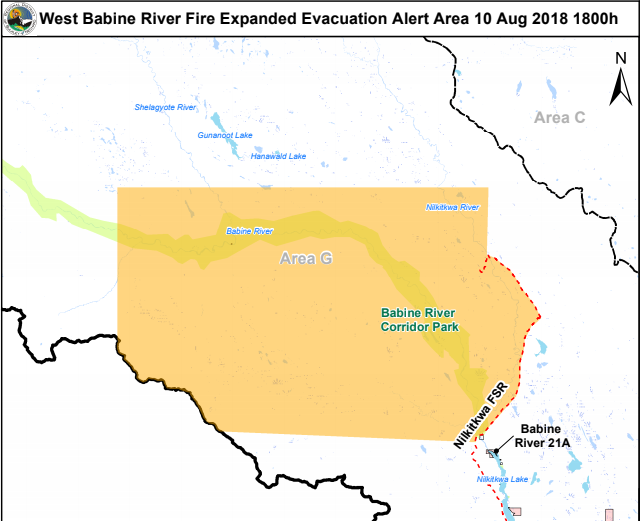 An Expanded Evacuation Alert for West Babine River Fire has been issued by the Regional District of Bulkley Nechako. 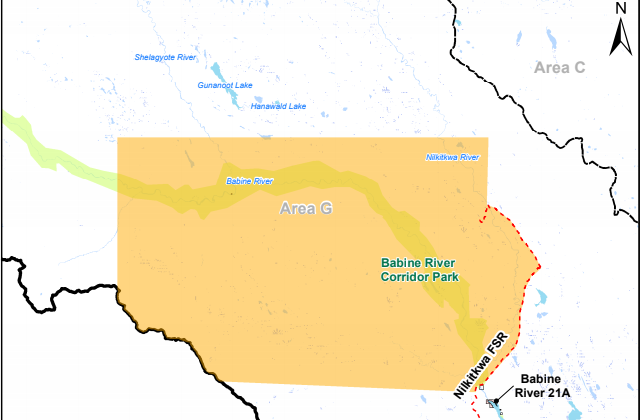 The Evacuation Alert is in effect South of Hanawald Lake to 3 km North of Nilkitkwa Lake. West of Nilkitkwa FSR to 8 km West of the Shelagyote and Babine River confluence. Locate all family members or co-workers and plan to meet outside the evacuation area, should an evacuation be called while separated. In the event of an evacuation, a Reception Centre will be opened if required. 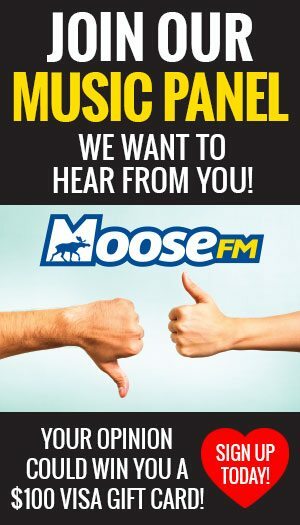 Monitor your local radio station and the Regional District of Bulkley-Nechako website, www.rdbn.bc.ca, and the Bulkley-Nechako Emergency Information Facebook Page for information on this Evacuation Alert.